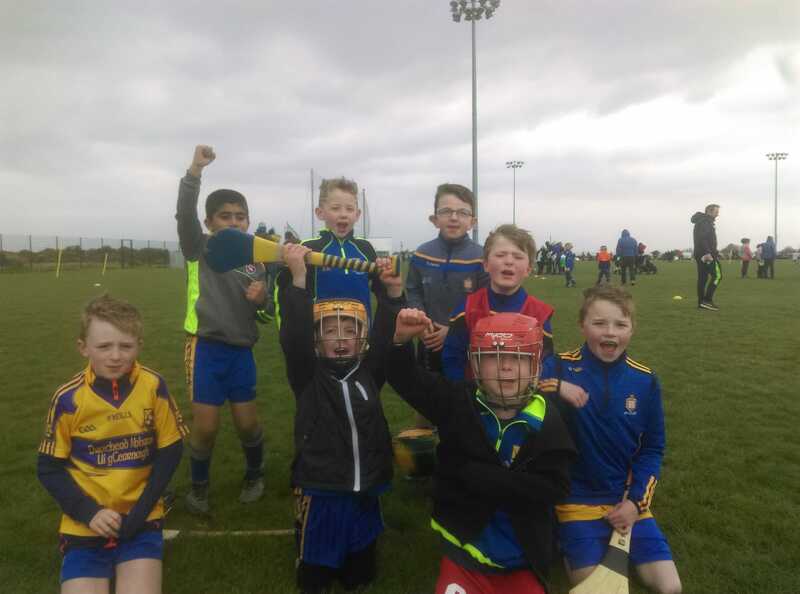 While we were not on the hill of Tulla today we were in the flatlands just below it in the Clare GAA training grounds at Caherlohan and boy was it windy for the first U8 hurling blitz of 2019. 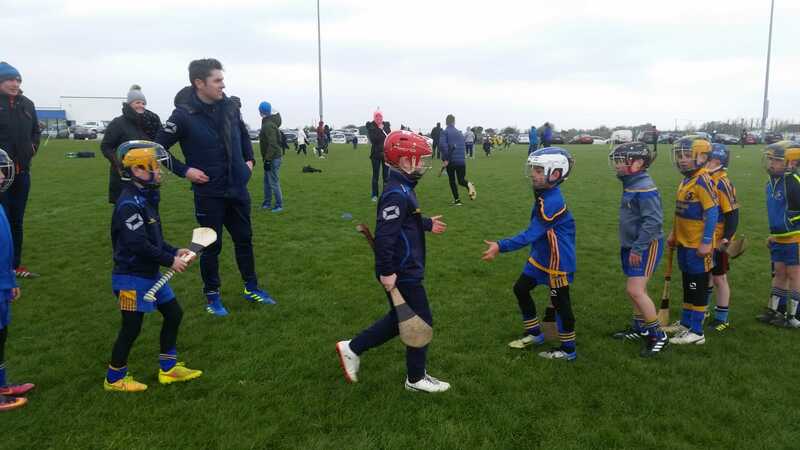 Ran in conjunction with Clare GAA and under the excellent management of Sean Chaplin and his team 14 clubs from Clare took part in the second of 2 sessions today with each team playing 3 games. The Bridge had 4 teams and despite just returning to training on Wednesday night they acquitted themselves admirably in very windy conditions to display plenty of skill, determination and hunger. We look forward to a great year ahead for the U8 bucks with plenty more games in the coming months. 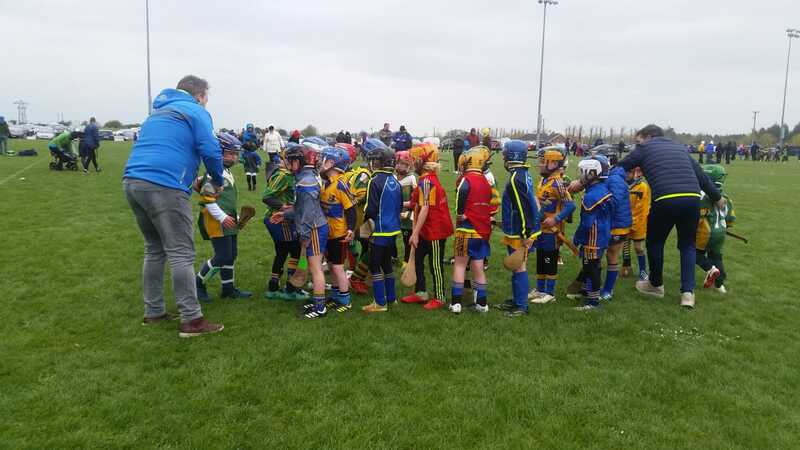 We are training every Wednesday 6-7PM in Cappa Lodge Training Complex and will add in Monday nights in O'Garney park at the same time from May onwards and any parents interested in helping out are most welcome. We have 60+ players at training so its important to keep the ratio to coaches low so all hands on deck. Team 1: C Rafferty, M Murphy, D Toomey, P Chaplin, B Corbett, J Willis, R Feehan, M Murphy, S O'Neill. 2) to Noah who broke his first (of many more to come) hurleys in action today. 3) to head coach Martin - Enjoy your weekend off ... holidays over and back to the serious stuff on Wednesday! 4) to the coaches and parents who were there today to help and support the boys in awful conditions.